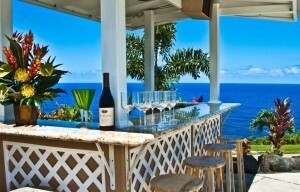 Come experience the ultimate in luxurious Hawaiian living in this private oceanfront estate. 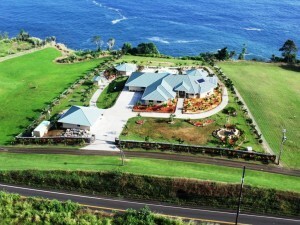 Located in the newest and most prestigious oceanfront subdivision on the Hamakua Coast, this is an entertainer’s dream opportunity. This deluxe 6 bedroom/7 bathroom estate (MLS# 245897), offered at $3,500,000, features a beautiful main residence, two oceanfront cabanas, and a caretaker’s apartment on 2 acres, which can be utilized as a vacation rental and/or a facility for weddings, parties, photo shoots, and movie sets; a bevy of possibilities for the further development of this unique and well situated property. This exceptional 6,193 sq. 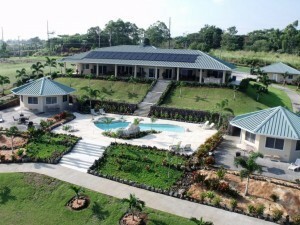 ft. home was constructed in 2008 using the finest materials. High-end appliances, beautiful stone floors, and a see-through fireplace only add to the spaciousness of the home. 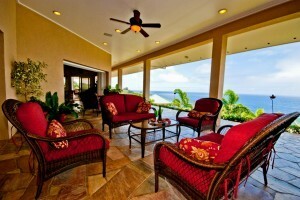 Stunning views, the use of natural light, and artistic architecture bring out the key features of this oceanfront property; the cool ocean breezes and expansive views from every room make this the perfect vacation home or rental. In accordance with the aesthetic nature of the area, all electrical service to the property is underground and all piping for the pool and spa is underground and in place. Extra underground water lines, electrical, cable, and phone line is piped throughout the property.